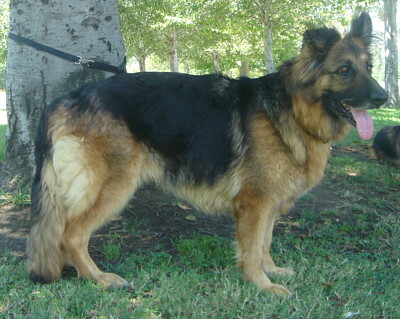 Klara Von Lancaster is a stunning 5 year old beauty. 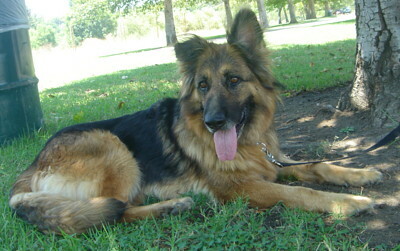 Klara was brought to the shelter as a stray and amazingly her owners did not come to take her home. 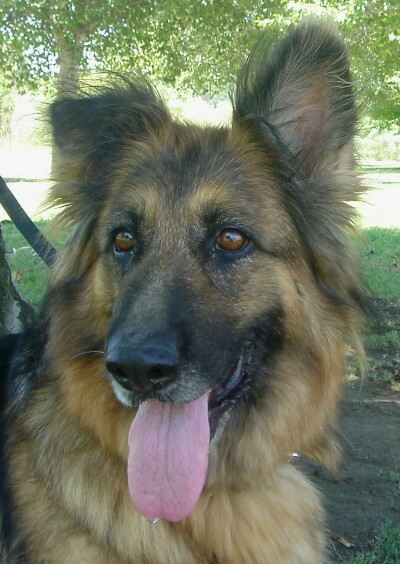 Klara is a black & red longhair of obvious quality. 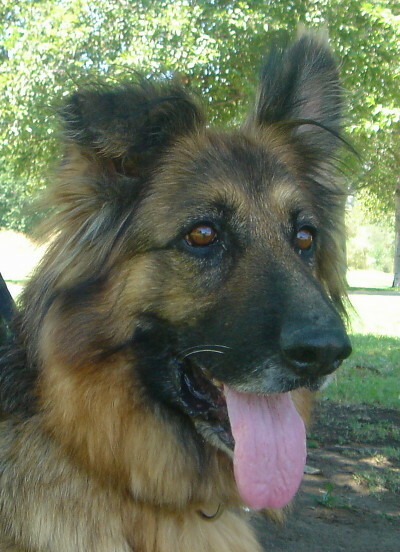 Klara was so happy to be out of the shelter. 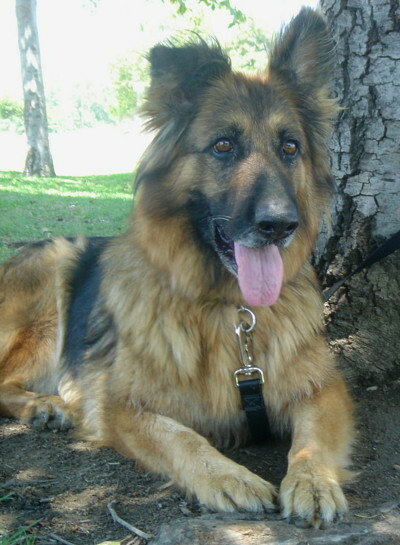 When our volunteer took her to the park for pictures, Klara headed straight to the water and had a great time! 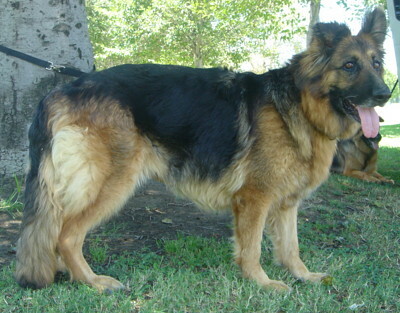 Klara, exhibits a gentle nature, like many of the long haired Shepherds and has the straighter back of the West German dogs. 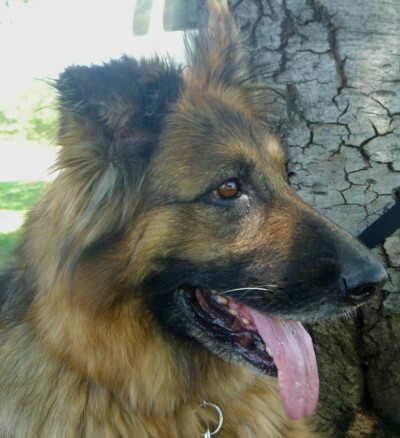 Klara rides well in the car and would make a great addition to a fun loving family! 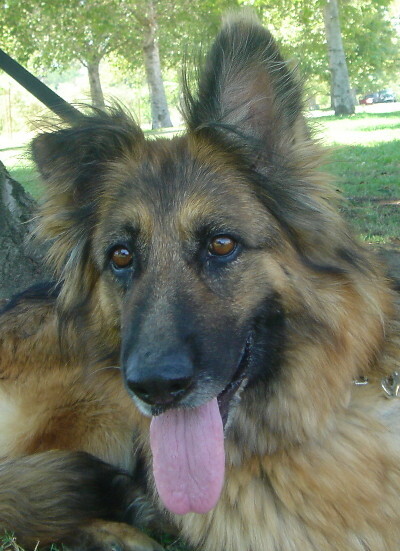 Come meet Klara, you will be enthralled with her total beauty!